Vertical 12V electric lock. (required for gates longer then 3m). 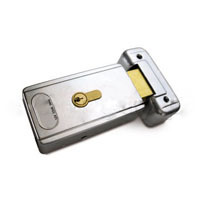 Horizontal 12V electric lock. (required for gates longer then 3m).